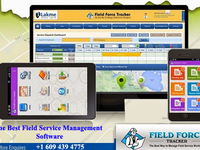 Field Force Tracker is designed to fit the needs of many service industries. Our primary market is organizations with 1-10000 service technicians that want higher productivity from their field staff. HVAC, Plumbing, & Electrical companies as small as 1 up to 1000. No matter the size, ThermoGRID will increase increase your profitability by increasing your productivity and performance.